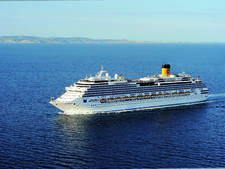 Costa Luminosa, a twin to Costa Deliziosa, is a warm, whimsical ship with a simple layout that's easy to navigate. 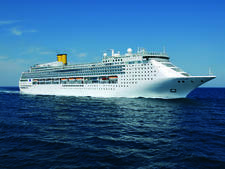 The ship, which debuted in May 2009, represents a "retro-style evolution" for Costa. What do we mean by that? 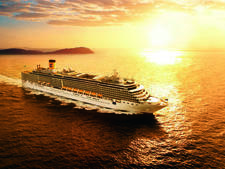 The Italy-based and European-influenced cruise line, like many other major cruise companies, has been on a ship-building binge that produced mega-sized models like Costa Pacifica and Costa Serena, representing the biggest-ever in its fleet. But, Luminosa -- and Deliziosa, too -- are slightly smaller. The sister ships are actually built to Panamax specifications, which means they're not only smaller than some of the line's more recent new-builds, but they're also more flexible. 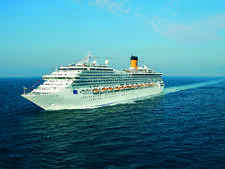 Because Luminosa can slide through the Panama Canal, it has more itinerary possibilities. 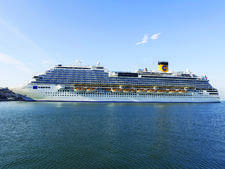 From a design perspective, Costa, part of the Carnival Corporation family of cruise lines, borrowed liberally from layouts on Carnival's ships, with an onboard vibe that's similarly fun and friendly. 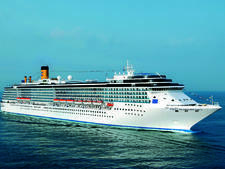 It also pulled some touches from Holland America. 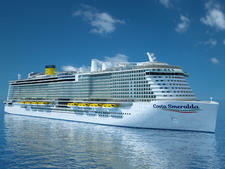 HAL-lovers might recognize the shopping arcade and the aft pool area from Oosterdam and other vessels. 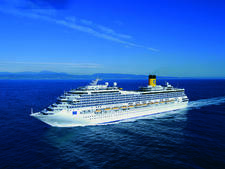 Bottom line: If you're intrigued by the ship's European vibe, enjoy traveling with international passengers, love pasta and pizza, can sing along in karaoke when the songs are in French/ Spanish/Italian (and occasionally in English), and either embrace or don't mind smoking, then Luminosa could be a great choice. 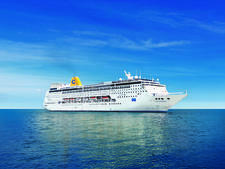 A healthy 80 percent of passengers hail from Europe, particularly Italy, France, Germany, Austria, Switzerland and Spain. 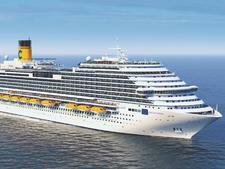 Costa says 20 percent, typically, are English-speaking. 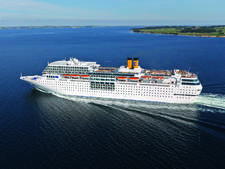 Costa appeals to young families and young couples on romantic getaways, and the vibe onboard can definitely be quite active for cruises that are 10 nights or fewer. 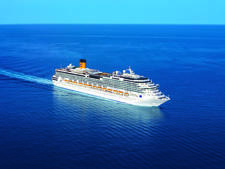 During the day, absolutely anything goes, and the trend for general attire is super-casual, though passengers are not allowed to wear bathing suits into dining venues. 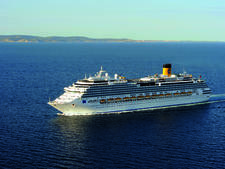 In the evenings, resort casual is generally the style, but on the Captain's Gala night, which occurs once per cruise, passengers tend to dress quite formally: suits and ties for men, dresses or cocktail pants for women. 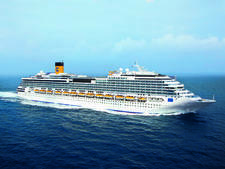 On Costa Luminosa's U.S.-based sailings, the line will automatically add an $11 per person, per day, charge to onboard accounts. On European and other non-U.S.-based voyages, the line charges 7 euro per person, per day. Bar purchases are automatically tagged with a 15 percent gratuity. Kids between the ages of 4 and 14 are charged 50 percent, and there's no charge for passengers younger than 4.